Like all other fields, we should be thankful to technological advances, which make the life of dentists and patients easier as both have now several choices when it comes to selecting materials to fill cavities. Among the choices are natural tooth-colored materials such as resin-based composite fillings and more traditional dental fillings such as those made of metal amalgam. Usually people make quick decision and they have one for all approach. Such people will want to do everything at once and then sleep tight knowing that it’s all sorted out. But other have slightly different strategy, they usually pick the part of their mouth that is worst and in this way, they break the problem into sections, like They do the top right now, the bottom left next year, and so on. 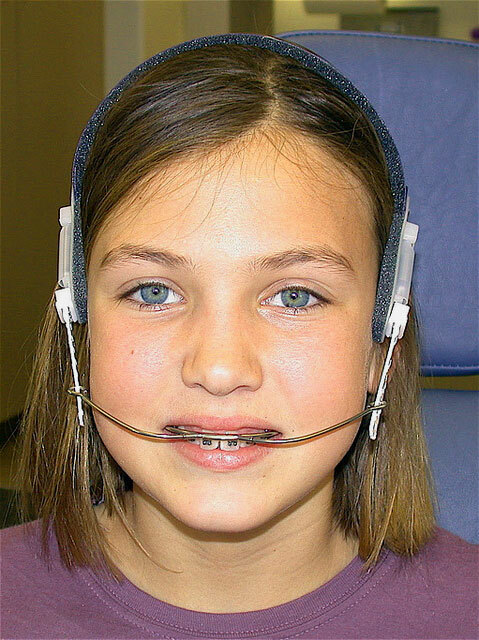 It is usually recommended that replace your fillings in stages not all at once. You should replace the bigger ones first as these cause more problems. If you think of your jaw like a nut cracker, you have the hinge at the back, the forces on those molar teeth are eight times the force on the incisor teeth, so those molars are always under more load. The fillings in those teeth also tend to be bigger and better at hiding or decay or causing tooth cracks. It can be said one of difficult situations while sitting with your dentist and discussing types of fillings that you can choose from. So by reading this article, you can make this decision bit easier. Generally dental amalgams are recognized as silver fillings. 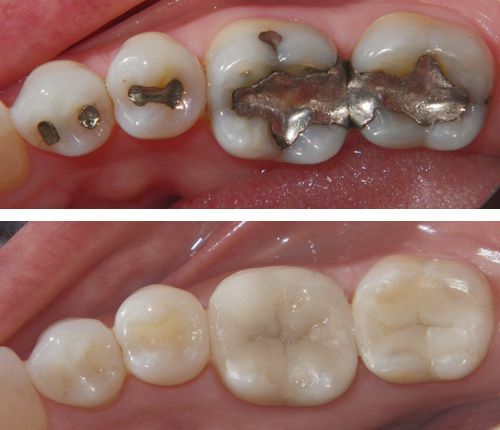 Dental amalgam is a mixture of mercury, silver, tin and copper. Mercury, which makes up about 50 percent of the compound, is considered as main element that used to bind the metals together to provide a strong, hard, durable filling. Although there has been no conclusive research that shows that silver mercury fillings are harmful to your health but we can easily find a lot of people which have problems that occur underneath these old fillings. It is well known that silver fillings are opaque to X-Rays, that’s why it’s difficult to see a cavity under the filling if you have any. According to research result, when you’re examining a patient with silver fillings, if doctor doesn’t use any X-Rays only 50% of what is going on, is visible. While with a full set of X-Rays, one can see about 80 – 85% of what’s going on. So there could be almost 20% of cavities that we won’t be able to see because the metal blocks out this damage. Another factor to consider is the cracks in the teeth, which also won’t show on X-Rays at all. Crakes are common in people with the age of 50’s. If someone got fillings in his early age, now with the passage of time, he may get crakes also but it’s impossible to see them as filling is there. In addition, tooth cracks or decay can lead to pain in your teeth. Silver fillings do not strengthen teeth at all, this fact is well known. Silver filling in a tooth, essentially acts like a wedge, and when you bite down on the filling the forces are transmitted to the remaining tooth structure. If the filling is more than about a half of the width of the tooth than there is a good chance that the tooth is going to crack, break or chip. Resin composite fillings are made of ceramic and plastic compounds, so they are also called white teeth fillings. These fillings mimic the appearance of natural teeth, therefore they are preferred to be used in front teeth for years. Silver filling material is usually just packed in, so there is no adhesion of the silver filling to the tooth, which we get with the tooth colored materials. This adhesion means that the chewing forces are distributed over a greater amount of tooth. The force of biting down with the chewing is also distributed across the whole tooth structure more evenly than it is with silver filling, meaning less likelihood of tooth cracking. There is a lot of variation in the materials that tooth colored fillings are made from and how they show on X-Rays, so they are all better to see dental problems using X-Rays. Main advantage of the tooth colored fillings is that you can see the problems starting more easily because of staining around the edges.